Metal detecting is the closest you’ll get to time travel. Unearth the scattered memories, find the stories, fill in the personality. That’s how Lance on the classic British series “Detectorists” explains his spiritual pursuit of preserving hidden history. Strangely enough, some of the best time travel mysteries though aren’t always metallic. Buried deep below the surface of a Brisbane park was a beautiful hand-made German Latticinio Core Swirl. That’s the antique marble that I discovered last week thanks to my Minelab detector (same brand as Lance’s), hidden underground with a perfect 1888 Queen Victoria English shilling. The coin was so crisp that it may well have been dropped the year it was minted. 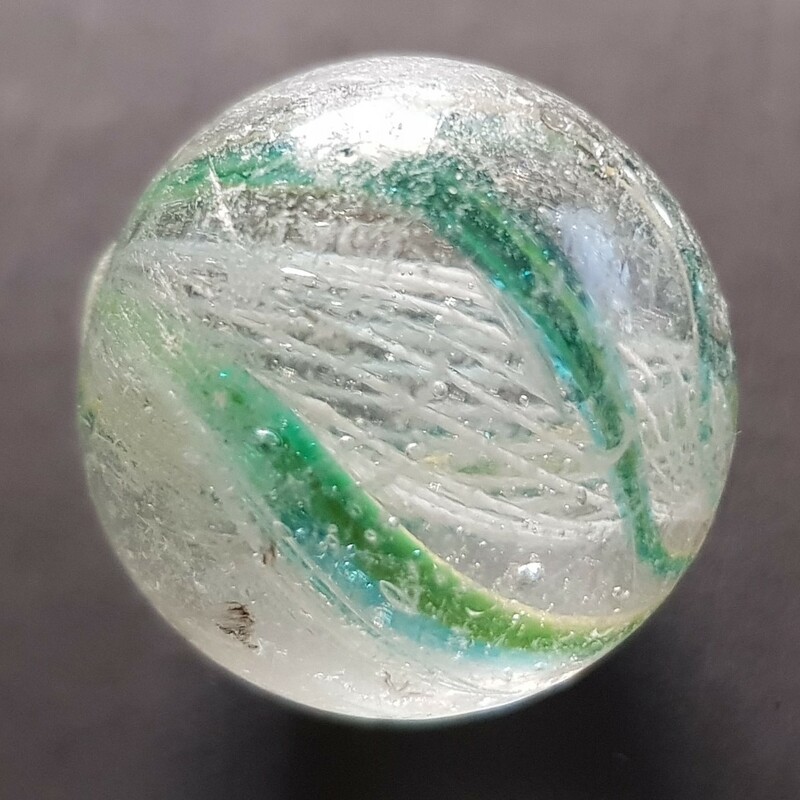 The marble, however, was worn and well loved, from as early as the 1860s. I may never know who lost the 150-year-old marble, but I was first person to touch it in almost as long. It’s a beauty. 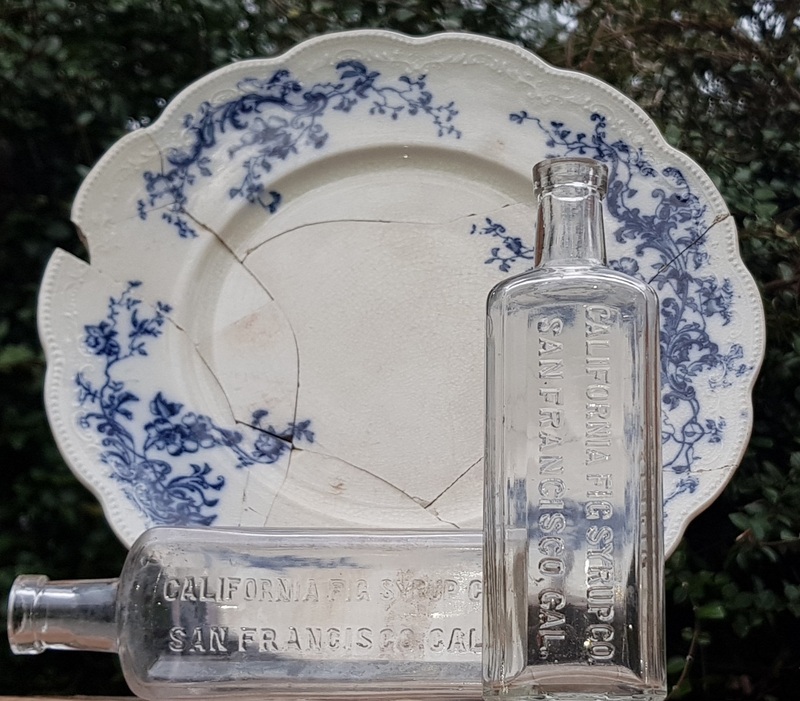 I do know who most likely owned a number of 100-year-old “Califig” bottles from around 1910 that I unearthed in a Gold Coast backyard. Among the other finds were 1880s spent ammunition and a lady’s ring. Califig was a cure-all made by the California Fig Syrup Company of San Francisco. It boasted well-recognized laxative effects, but was six percent alcohol so lost favour in the temperance-laden 1920s following the First World War. The gentleman whose bowels apparently needed encouragement was Charles Barrington Philpott. He was the Associate to the Chief Justice of the Queensland Supreme Court, and one of the best-known figures in the state’s legal circles. 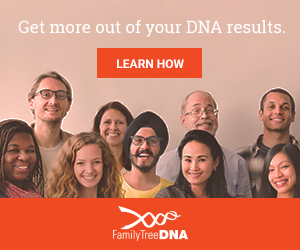 I’m not sure they knew about his laxative treatment though. I also found the shattered remains of an 1893 china dinner plate by W.H. Grindley & Co of Tunstall, Staffordshire, England. Painstakingly I glued the pieces together so that they were joined for the first time in a century. The last person to hold the plate was Constance Lucy Wood, whose father was a member of Queensland’s first parliament, grandfather a member of the English parliament, and great-grandfather Sir Matthew Wood, 1st Baronet, the Lord-Mayor of London. Constance’s cousin was Kitty O’Shea, the femme fatale of 1880s Irish nationalist leader Charles Stewart Parnell. Their scandalous relationship led to Parnell’s fall from power, and thereby changing the course of Irish history. One part of Constance’s plate remains missing. If I ever find the piece and glue it in place, maybe the plate will be like a space vortex and transport me back to the time of Constance, Sir Matthew, and Kitty? I was recently given the honour of exploring the site of an 1862 pub in Ipswich, scoping it for a possible detect. The original building was replaced by the current hotel in 1910. A bomb shelter was built underneath in 1942 when fear of Japanese invasion in the Second World War was at its worst. That’s where I went, straight into the darkness beneath. As I switched on my torch, I turned around, and there unexpectedly illuminated before me was the most magnificent 156-year-old stone foundations you can imagine. In the same building, I went upstairs to the private living quarters that hadn’t been occupied for thirty years. Tucked around the corner of one room was an old trunk, the kind you see on prodigious passenger ships. I laid the huge case on the floor, and as I wiped away layers of dust, magic happened. Painted on the lid of the great trunk was, “D.FLANNERY, AUST. RUGBY LEAGUE”. 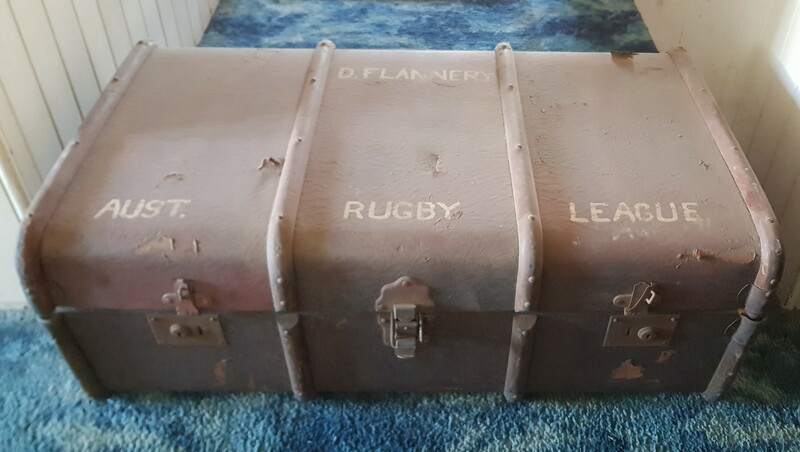 This was the very trunk taken on three Australian Kangaroos tours in the 1950s by the late Denis Flannery. Flannery is one of Australia’s all-time great sportsmen, and was named on the wing in the Queensland Rugby League’s Team of the Century. This item didn’t belong in an upstairs room gathering dust, but rather in a museum. Metal detecting is indeed the closest you’ll get to time travel. Be transported back with antique marbles, legal figures, city mayors, public scandals, and even sporting greats. Detectorists, we’re time travellers, even if what we find isn’t always metallic. Yes it was like finding hidden treasure. Just as elephants were reputed to go to a certain graveyard to die, I found where aluminium cans expire. There are hundreds of cans and tops only in the stretch of beach behind Eventide at Sandgate. I got a massive hit while detecting there. One`s mind automatically goes to a buried treasure trunk as the ballast of a sailing ship was rumoured to have been seen on rocks just offshore called Cassim`s Reef. Alas, after digging down to a depth of two feet, I bottomed on the top of a complete Woolies shopping trolley. Like all metal detector enthusiasts, I brought a piece home where it eventually became a pile of rust.